Mix all the meatball ingredients in a bowl. 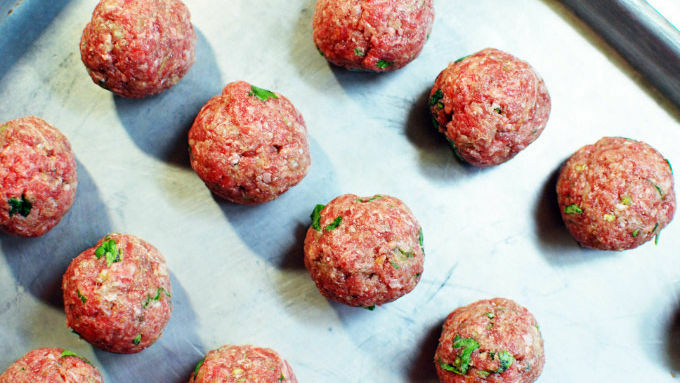 Shape your meatballs and put them on a sheet tray. Broil to brown, about 7 minutes. Flip them and broil 5 more minutes or until browned and cooked through. Add the root beer to a pot and simmer lightly for about 20 minutes until it has reduced and become slightly syrupy. Add in the BBQ sauce. Add in the warm meatballs and stir well. Simmer for about 10 minutes and serve. For a faster and easier method, use your favorite store bought meatballs. You can also keep the meatballs with the sauce in a slow cooker on low until ready to serve as well as to keep warm. Watch the moisture levels and add a little water if needed. 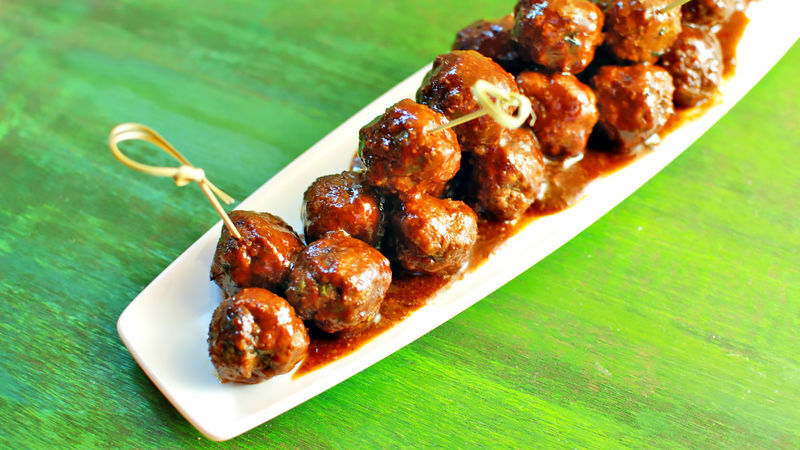 These easy BBQ meatballs are an appetizer must for any party! Glazed meatballs are always a hit at cocktail parties, and these Easy Root Beer BBQ Meatballs put an exciting new spin on that classic dish. Root beer is used in place of the jelly that is commonly found in similar recipes, and it adds a whole new dimension and flavor to the party. When making a recipe like this, it's important to choose your BBQ sauce carefully. 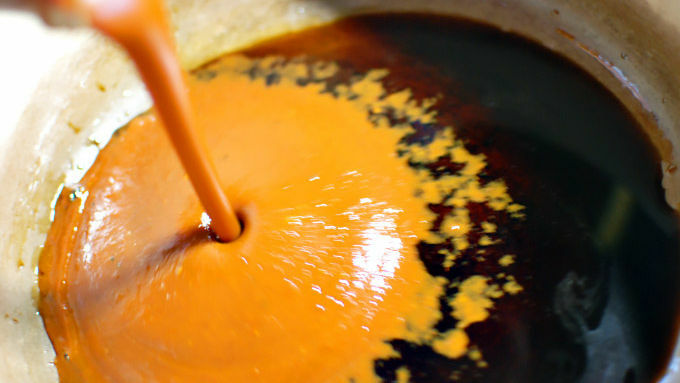 Many sauces have sugar or corn syrup as the first ingredient. This is fine for grilling up some chicken, but we already have a lot of sweetness from the root beer so avoid those brands for this dish. Find one that has tomato or vinegar as the first ingredient, and has a little heat to it to balance the sweet root beer flavors. You don’t have to make homemade meatballs for this recipe. I grew up in an Italian American family so I just can’t do store-bought meatballs. I won’t look down on you if you do though! These meatballs were beef, breadcrumbs, egg, cilantro, garlic and habanero. But for quicker results use your favorite store-bought brand! 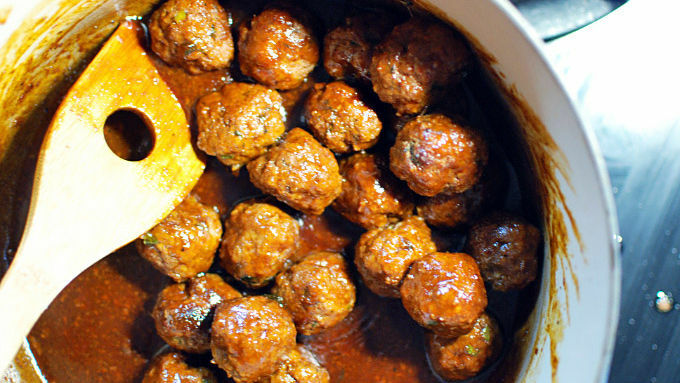 If you're serving these at a party, you can also keep the meatballs with the sauce in a slow cooker on low until ready to serve as well as to keep warm. Watch the moisture levels and add a little water if needed. I like putting them out on a nice long and skinny platter for a dramatic presentation. Either way works and is delicious!